The workplace environment is constantly evolving, and in order for businesses to remain competitive and thrive in this changing environment, effective leadership is vital. 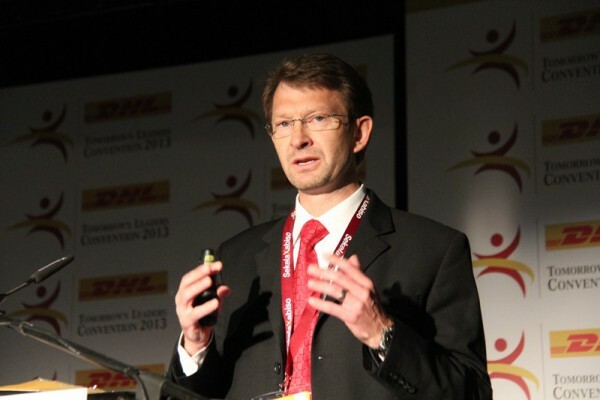 This is according to Hennie Heymans, managing director of DHL South Africa, who addressed the attendees of the 2013 DHL Tomorrow’s Leaders Convention, a gathering of South Africa’s leadership alumni, which took place on Friday. He explains that there are generally two types of leadership: Process Leadership, which is the use of skills and a knowledge base to influence or accomplish a goal; and Trait Leadership, which is the use of influence to inspire others to want to achieve common goals. 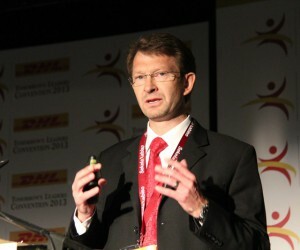 Heymans refers to a future study, The World in 2050, which reveals five possible scenarios on how the logistics environment may look in 2050. Although the study refers to five different scenarios, the reality in 2050 may well be a slightly more chaotic environment, due to rapid urbanisation, an ever increasing customer demand, an environmental decay, macro-economic turmoil, increased natural disasters, high levels of corruption, and complex cultural and economic trading environments. Selvin Govender, divisional marketing manager at Mercedes-Benz South Africa Cars, also speaking at the event, gave his insight as to what the workplace environment will look like in 2050. “Africa not only has the highest population growth, but also the highest proportion of young people in the world. Heymans says that a critical skill needed to be a successful leader in 2013 is effective communication. “It is vital that leaders ensure their company’s strategy is understood by the whole company and that each employee understands his or her role in accomplishing that strategy. “There is no substitute for connecting with your employees. A successful leader needs to truly connect with their staff as, when you have connected with them, you are in a position to inspire them,” he concludes.